Spring may have officially arrived — at least the days are (slightly) longer. And just as April showers bring May flowers, for me the annual thawing of the sheds is a sure sign of spring and a busy touring season. For sound companies, now’s a good time to start getting ready. 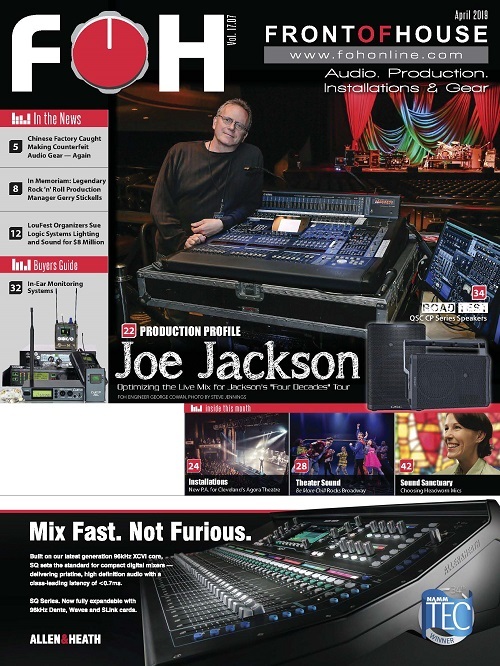 In “On the Digital Edge” (page 39), David Morgan concludes his extended two-part article on the need for the detailed pre-production preparation prior to embarking on a world tour with a major artist. As we all know, it can be surprising just how often it’s the little things that count, especially when you are 4,000 (or so) miles away from your home base and you suddenly need a spare gizmo of some sort, with just hours — or minutes — before show time. There’s some good, practical advice here from one of the best FOH engineers in the business, and this also provides a fascinating look into a world that most of us don’t experience on a regular basis. The annual NAB expo rolls into our hometown from April 7 to 12 (exhibits April 9 to 12), filling the cavernous halls of the Las Vegas Convention Center. Certainly the focus here is on broadcasting and video production, but like those Venn diagrams we learned about in school, within the overlapping circles of this picture-dominated tradeshow, there are significant (at least to us audio types) pockets of audio activity. Within that expo microcosm, products such as line arrays and amp racks won’t be featured on the show floor, but there will be a strong showing by manufacturers of other production essentials such as microphones, consoles, intercom systems, cabling, wireless, test gear and more. Of course, the NAB Expo is a must-attend for sound companies that also offer video production services, and there will be no shortage of hi-def cameras, switchers, recorders, projectors, monitors, grip, support, lighting gear, etc. 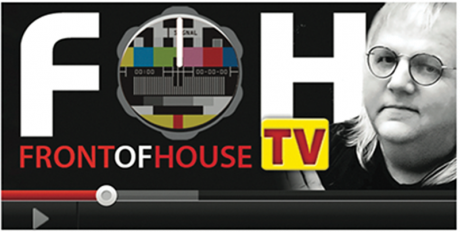 Check it out at nabshow.com. Turning to something that does provide a full range of sound reinforcement technologies is Prolight+Sound, in Frankfurt from April 10 to 13, and the M.I.-oriented Musikmesse, held on the same expo grounds (in different halls) from April 11 to 14. 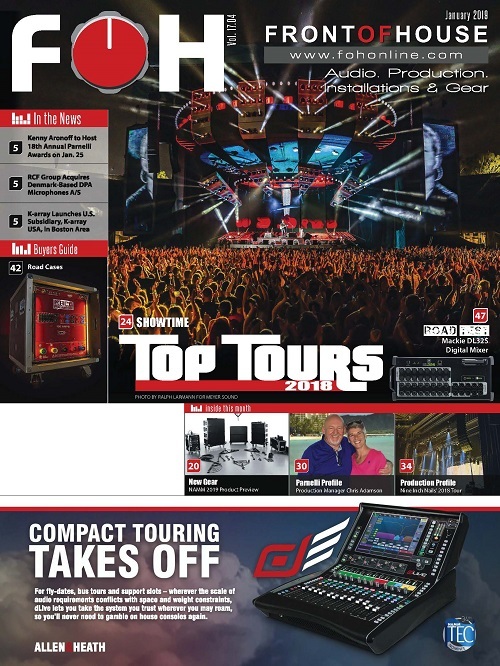 So not only are the PL+S and Musikmesse dates slightly out of sync with each other (an unpopular arrangement with many exhibitors), but both shows also overlap with the 2018 NAB dates. This makes it difficult for all but the most tenacious jet setters to attend even part of both NAB and PL+S. The situation detracts from both shows. Someday — perhaps in some far-flung alternate universe — the organizers of such events could actually work together and plan to avoid such mishaps, but don’t count on that happening anytime soon. The separation of the once “one-stop-shop” PL+S/Musikmesse combination has hurt its attendance, while shows that have combined forces — notably the New York AES/New York NAB, NAMM/AES and to some extent, InfoComm/NSCA — have enjoyed significant growth. Along those lines, this year’s Parnelli Awards move to the NAMM venue also proved to be an overwhelming success. On page 32, organization president/CEO Joe Lamond and Timeless Communications president and FRONT of HOUSE/PLSN publisher Terry Lowe look back — and forward — at the show’s impact on the industry. Meanwhile, the beat goes on. 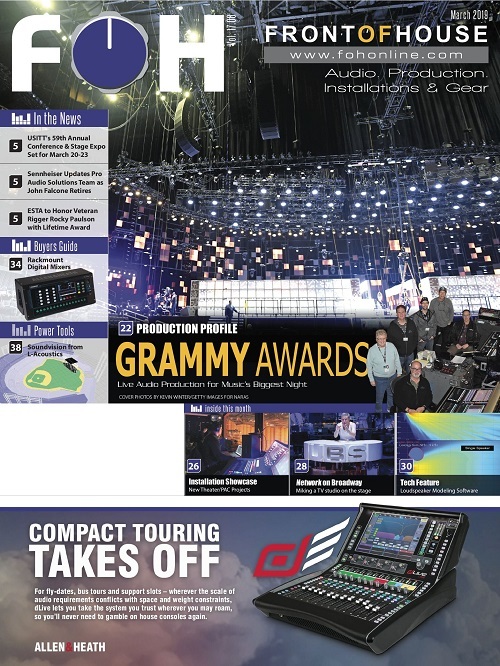 Tradeshows retain their relevance and provide an important platform for hands-on education and technology launches, and on page 20, we present an expanded new products section focusing on gear debuting at both NAB and PL+S/Musikmesse. Over the coming weeks, we will follow that up with on-the-scene reporting from the exhibition floors at fohonline.com, as well complete coverage with all the show highlights in the May issue of FRONT of HOUSE. In last month’s missive, I commented on the rise of “beyond stereo” audio presentations, and that interest continues to increase. 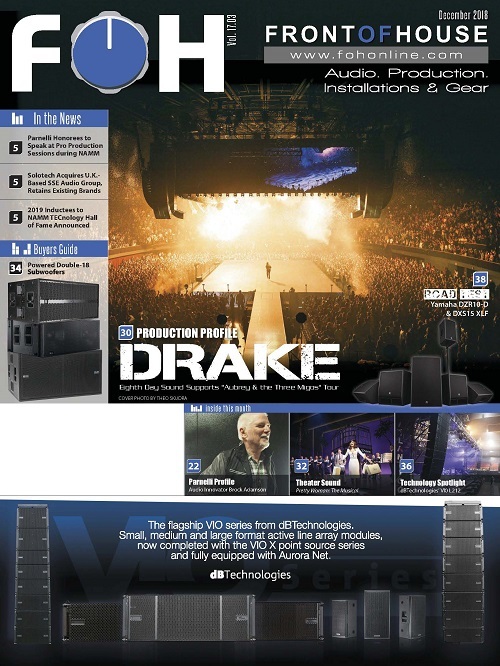 On the tradeshow front, this month’s Prolight+Sound features lectures and demos on the subject. Special audio areas include the outdoor Klangdome Immersive Technology Forum, a 3D sound dome install with 31 speakers and a vibrating floor. Astro Spacial Audio and Alcons Audio will provide demos of Astro’s SARA 3D audio rendering engine (developed by Germany’s Fraunhofer Institute) and d&b audiotechnik will demo its d&b Soundscape immersive hearing toolbox. For more info, visit pls.messefrankfurt.com. Proving spatialization can work on large-scale events, Firehouse Productions is using an L-Acoustics L-ISA immersive audio rig on the North American leg of Lorde’s Melodrama arena tour. 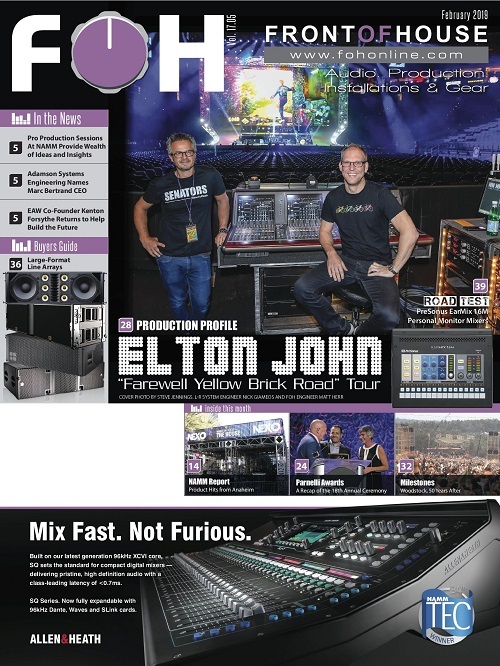 In an exclusive interview, we chat with FOH mixer Philip J. Harvey (shown on this month’s cover with systems engineer Michael Gazdziak) as they tweak performance presets on the L-ISA Controller screen at the Toyota Center in Houston. The results were impressive, and you can find more details about the tour and system on page 26. I’m probably going out on a limb here, but I predict that immersive audio will continue to be a hot topic for some time, including this year’s InfoComm show, which returns to the Las Vegas from June 2 to 8 (exhibits June 6 to 8). Some 44,000 AV industry pros are expected to attend the wide array of educational programs and exhibit halls, with 1,000 companies showing the latest audio/visual technologies. For more info, go to infocommshow.org.